The Watauga Education Foundation recognizes that creative and innovative teachers want to continue their own learning to be the most effective teacher they can be. This is why the WEF provides professional development scholarships for teachers in a partnership with Blue Ridge Electric that honors former Blue Ridge Electric leaders and champions of education. Price-Deverick Teacher Scholarship Applications are due March 15, 2019. The scholarships are named for the late Barbara Deverick and Gwyn B. Price, former Blue Ridge Electric Membership Corporation leaders and champions of education. Our partnership with Blue Ridge Electric has funded more than $60,000 worth of teacher scholarships! 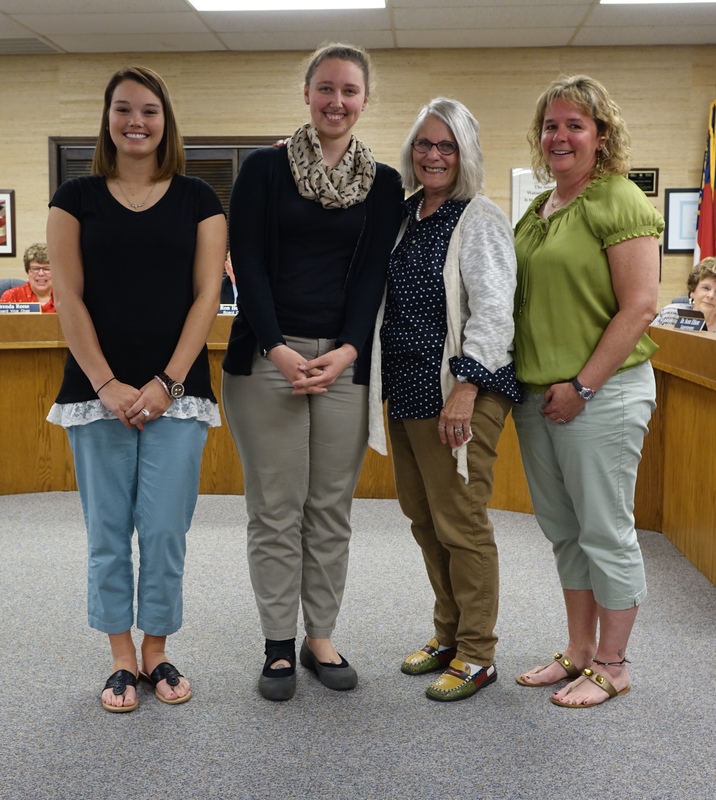 Blue Ridge Electric Membership Corporation and The Watauga Education Foundation (WEF) have awarded 2016 Price-Deverick Scholarships to 9 teachers in the Watauga County Schools. Teachers receiving the awards include Courtney McKinney of Bethel School, Stephanie Kostis of Cove Creek School, Maria Mohr, Denise Presnell, Tracey Saunders and Meghan Scott of Hardin Park School, Gayle Oliver of Mabel School and Joshua Roberts of Watauga High School.